In our jobs as Portsmouth NH Realtors my partner Ann Cummings and I get to travel much of the New Hampshire Seacoast and southern Maine areas listing and selling homes. 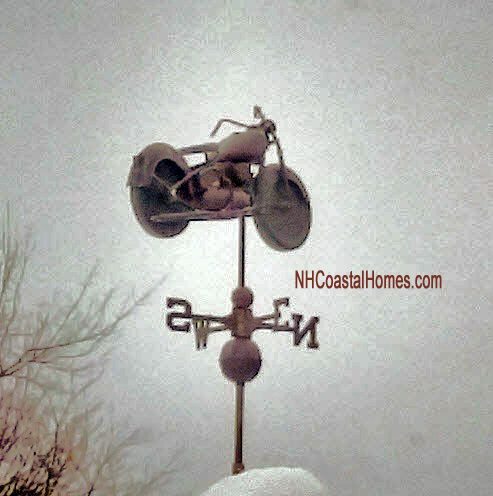 We often see some very cool and interesting weathervanes. Here’s a few of the recent ones. First up is this old Harley Davidson motorcycle setting stop a poolside gazebo. The seller’s agent was quick to point out that this beauty did not remain with the real estate. Love this photo of an old Harley setting stop a gazebo. 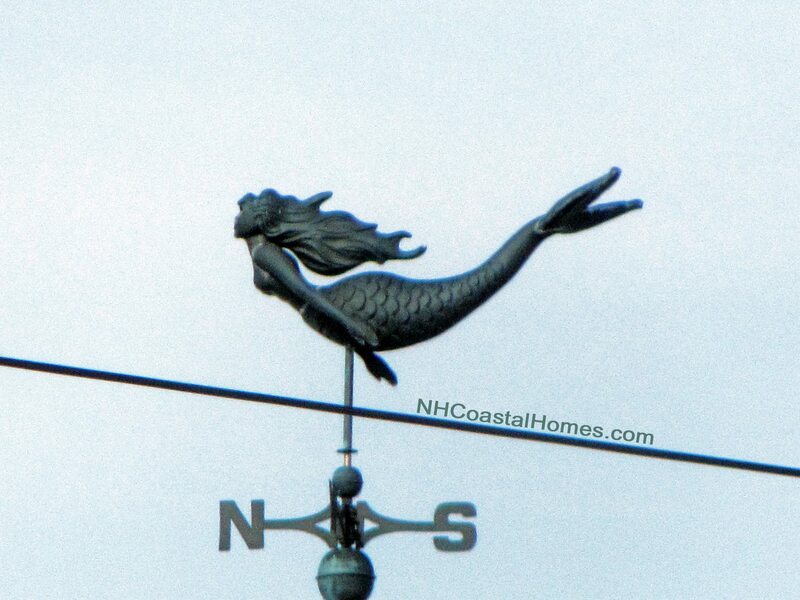 We spotted this whimsical mermaid recently down at Hampton Beach NH. And no New Hampshire Seacoast collection would be complete without a sailing ship. If you’re in the market for a new home in the Portsmouth NH or New Hampshire Seacoast area we invite you to come and look at some homes with us. 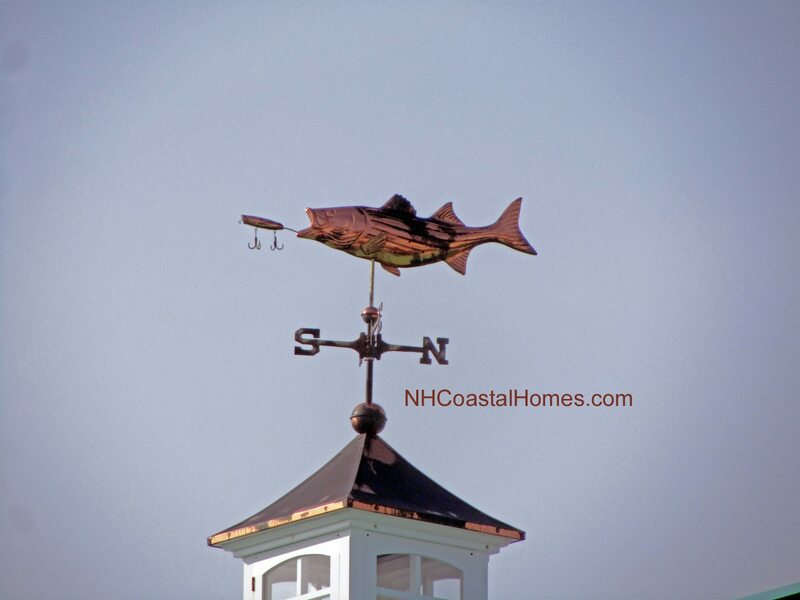 While riding around we might also see a cool new weathervane. 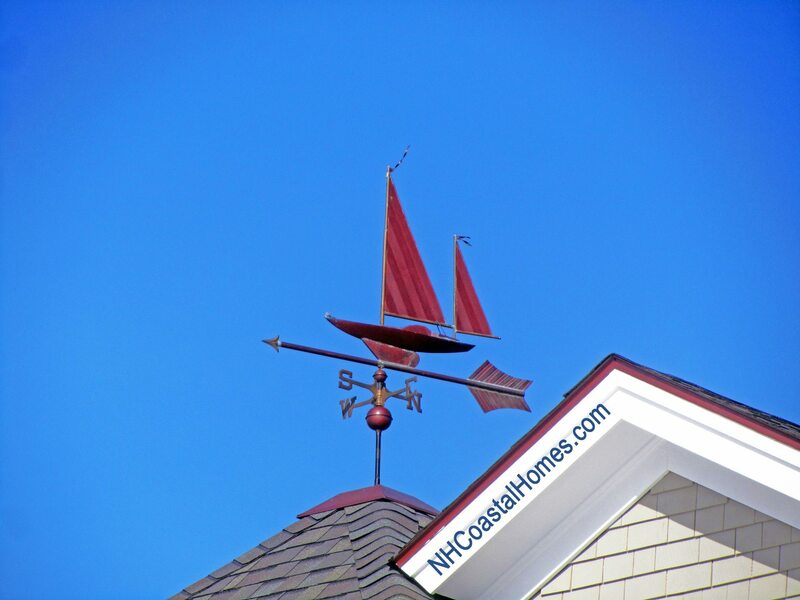 Visit NHCoastalHomes.com to see all the local homes for sale; our website is updated directly from the Multiple Listing Service every 15 minutes to always have the most current and up to date listings and information. We’re happy to answer any real estate questions you may have and help you buy, sell, or both in the southern New Hampshire and Maine areas. Visit here to see what our former buyer and seller clients have been kind enough to say about working with my partner Ann Cummings and I to achieve their real estate goals.